bathrooms and fully equiped kitchen area. Swimming pool and gym/game room. 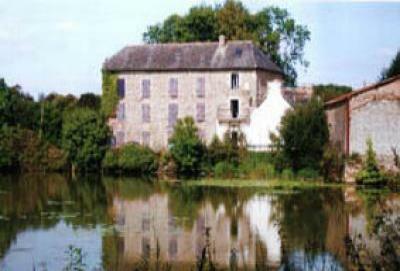 Stay in our watermill, set in rural Brittany with lovely lake views. Large garden with BBQ and garden furniture. Towels and Linen optional. Well behaved dogs welcome. See our other properties for families. Local Carp fishing, plus others. enough space for everyone so an uncrowded beach is never hard to find. there’s more than the odd spectacular sight to be found inland too. the World famous site at Carnac. Cidre and many varieties of Fruits de Mer (seafood). childrens play area and bbq. prices per family and include end of stay cleaning. We accept payment in pounds or euros. Minimum 2 nights stay, arrive any day.